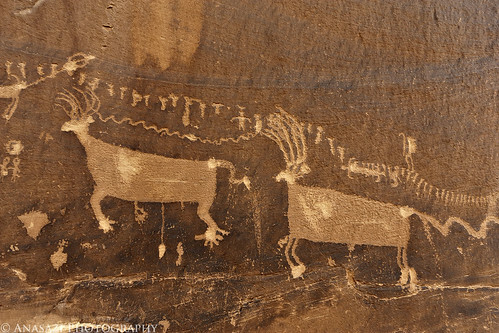 Here’s a portion of the Procession Panel located high up on the edge of Comb Ridge that contains two large elk or possibly some deer. This is a very unique panel that was very interesting to visit. On my hike up to the panel it actually started to sleet and snow on me, but luckily, by the time I reached the top it had stopped. I’m actually hoping to get back to this one at some point before the end of the year.